Posted on October 06, 2017 at 8:00:00 am by Susan B. Fall is all about pumpkin -- and caramel. And apples! 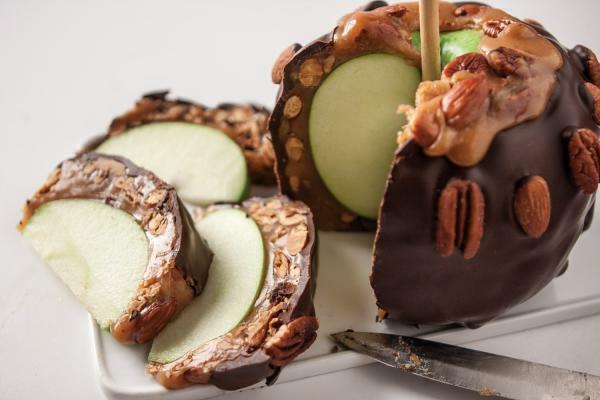 You&apos;ll experience two out of three of those excellent flavors in a Giant Caramel Apple made at Fort Wayne&apos;s famous chocolatier, DeBrand Fine Chocolates. Forget all your notions of caramel apples, because the ones at DeBrand are different. For one thing, they&apos;re huge! Imagine sitting down to share one with 8-12 of your best friends. Yep -- that big. DeBrand chocolatiers begin with a big Granny Smith apple, and then dip it in buttery homemade caramel. Next, the apple is dunked in DeBrand&apos;s rich milk or dark chocolate and dipped yet again in the caramel. Finally, it is also adorned with roasted pecans and almonds (although no worries if you don&apos;t like nuts; you can also order these apples without them). That&apos;s a whole lot of delicious layers! What Makes DeBrand Caramel Apples So Special? You&apos;re probably already getting the idea that these caramel apples are something special -- you won&apos;t find anything like them in a regular store. 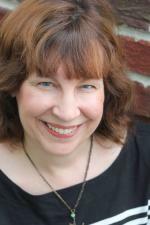 DeBrand public relations guru Jamie Schueler confirms, "People go CRAZY for them. We start getting phone calls asking about them as early as July! From there we have some people that will call every day checking on them. They certainly are a hit!" You can watch the apples being made in this video. 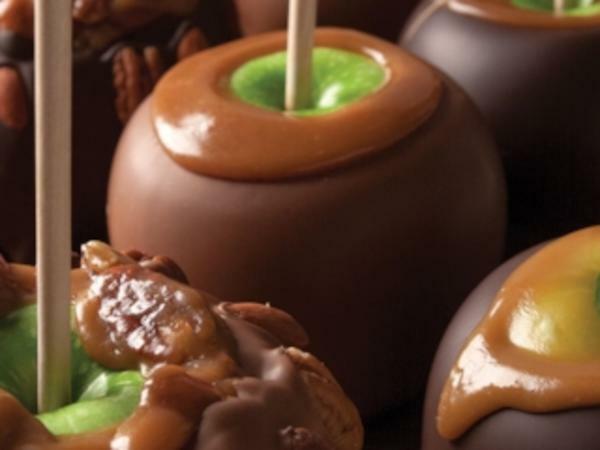 The caramel apples are sold at each DeBrand Fine Chocolates store location in the fall. The exact date depends on when the new crop of Granny Smith apples arrive (you&apos;ll be happy to know that they&apos;re available already this year). You can count on them usually being available by October 1st, and they are sold through mid-November (but, that is not always a guarantee.) You can also purchase the apples online at www.debrand.com. The apples are priced by the pound, with most costing between $20 and $36. Have you experienced a DeBrand Caramel apple? What did you think?